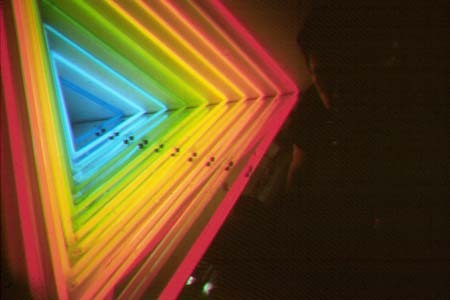 Ten colors of the spectrum; with neon, argon & mercury vapor, glass mirror + solid state sequencer. Large red tube is 28' of glass. The Sculpture appears to pulse into its corner.